The finished Blueberry Cheesecake lip balms! When I was younger we used to go out for ice cream after every soccer game, win or lose. It was the best because I could care less about playing soccer, but I loved to get ice cream after. I would always order a blueberry cheesecake shake. This lip balm reminded me of those trips and every time I’ve put it on my lips, I want to run to back to that ice cream shop for my favorite shake. 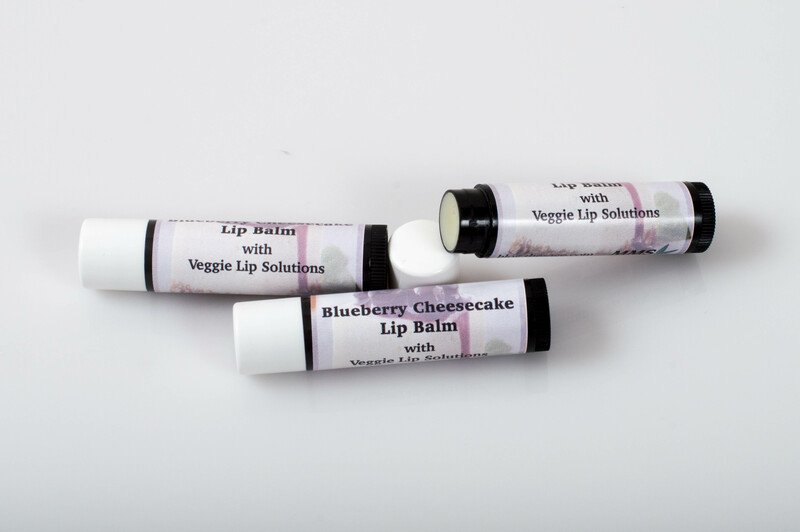 This lip balm made by mixing three different flavor oils together, Blueberry, Cheesecake and Sugar Baby. They mesh very well together! Join me to make this simple lip balm using the new Veggie Lip Solutions! I loved making this product because all you need to do is measure and melt all of your Veggie Lip Solutions. While your Lip Solutions is melting, you can measure out all three of your flavors and add them to the completely melted Lip Solutions. Now you can pour your lip balm into the container of your choice. Enjoy my favorite shake flavor in lip balm form!